Are you also facing space crunch in your Gmail or Google Accounts? Getting this message everytime you open your Gmail? Among many ways from archiving and downloading your heavy mails to deleting the unwanted mails and photos, there is also an quick and easy way. This is to reduce the size of the uploaded items in Google Photos from Original to High Quality. 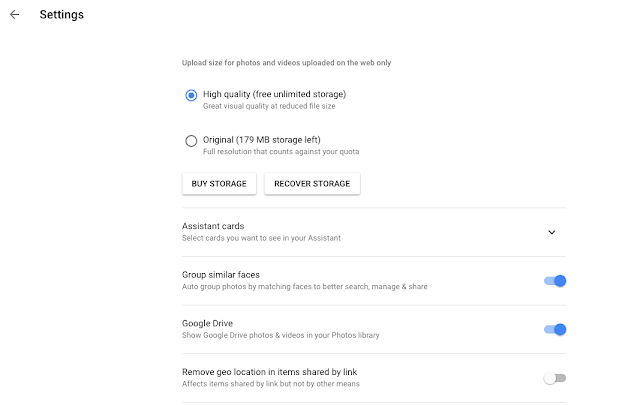 There might be many photos in your Google Photos that you have uploaded in the Original Quality which would be taking space in your Google Storage. If you convert those Photos to High Quality, they would still be large enough for your social usage but would not take up Storage Space in you Google Account. 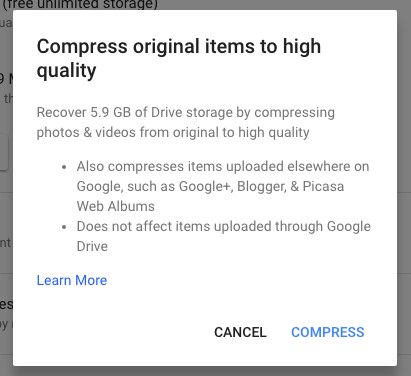 Google will tell you how much space you can recover by using this process / tool. For instance, I would be able to reduce 5.9 GB in my Google Account. You will get an information message, Click on Compress again to confirm. And that's it. You have started the process and after some time those Low on Storage or Out of Storage Space messages are gone for a good time! Was this helpful? Tell in comments! 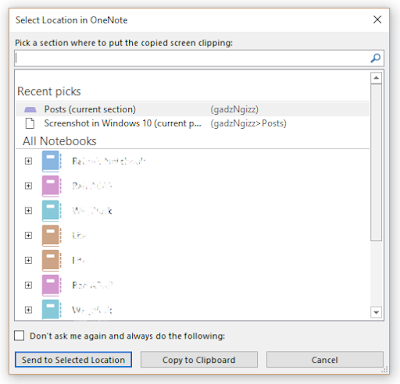 There are multiple ways to take a screen grab in Windows 10, from simply using the Snipping Tool to hitting the PrintScreen Button on the keyboard. The PrintScreen button grabs the whole screen which you do not need all the time and later you need to use Paint or some other tool to crop a portion. Yes, we do have Alt+PrintScreen option to grab the active Window but what if you want a piece of it or want to combine portions of two windows? 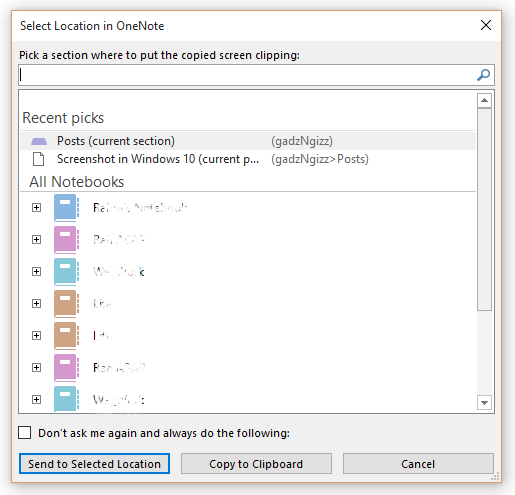 Then comes the Snipping Tool, it gives you the flexibility to grab any portion of the screen by dragging the mouse pointer. But here is the catch. You have to fire up the program from Start Menu or use a shortcut and then the hassle to save the file! Install One Note as a part of Office or Stand alone, if it is not already there in your machine. Open the application and let it sit in the tray at the bottom right near the clock. Press Windows + Shift + S key combination in windows 8.1 and 10 and above to grab a screenshot by using the mouse pointer. In the earlier version of Windows like Win 7, you don't need to press the Shift key, only Win + S.
Press and then click and drag your mouse to select the desired portion of the screen. Save it in any of the Notebooks or Sections provided in the list. Press Escape Key and it will be copied to your Clipboard. You can default the save location by clicking the "Don't ask me again…" checkbox. I prefer using the Esc option and pasting the Screengrab wherever I want. But if you want to keep a record, you always have the option to save it in One Note. So, how helpful it was? Let me know in the comments if you have a better idea to share!